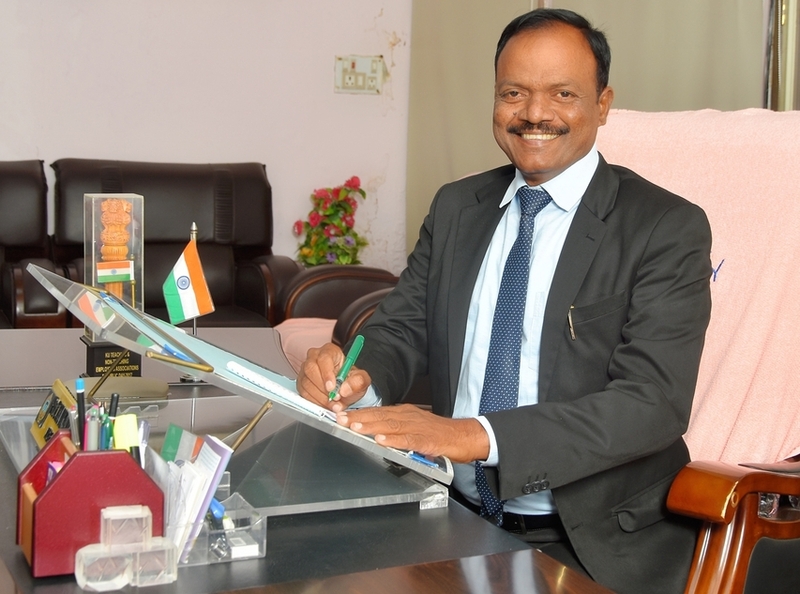 Dr. R. Sayanna, Professor of Physics (Rtd), Osmania University, Hyderabad assumed the office as Vice-Chancellor of Kakatiya University, Warangal on July 25, 2016. Born on August 18, 1955 at Koratpally Village of Dichpally Mandal of Nizambad district, Prof. Sayanna completed School and College Education in Nizamabad District. He passed B.Sc.in 1978 in first division and M.Sc. in 1980 both from Osmania University in first division. In 1988, he was awarded Ph.D. in Physics by Osmania University for his thesis on "The Study of Defects of in some Mn+2 doped Alkalihalide crystals. During his marathon teaching service of about thirty four years, Prof. Sayanna served at various levels spanning from Junior Lecturer to Professor of Physics. Joined as Asst. Professor of Physics in Osmania University in 1989, promoted as Associate Professor in 1991 and elevated as professor in 1999 which he continued till his retirement on August 31, 2015. To his credit, Prof. Sayanna has forty two research publications that were published in journals of national and international repute. Besides editing and authoring books for Post Graduate courses, Prof. Sayanna completed two minor research projects successfully. He continues his research even after his retirement and at present five students are working for their Ph.D. under his supervision. Prof. Sayanna held quite a good number of both academic and administrative positions such as Head, Department of Physics, Chairperson, Board of Studies in Physics, HLS, Electronics, Director of Publication and Press, Addl. Controller of Examinations (UG) and contributed his mite supporting the University administration. He served as member of the Academic Senate of Osmania University. He has been extending his services as Member of Board of Studies, Inspection Committees, Selection Committees of various universities. Prof. Sayanna apart from his teaching and research pursuit, actively involved in the activites of professional bodies. Prof. Sayanna, as one who believes in the dictum "Learn to teach and teach to learn", would like to initiate certain healthy practices with the participation of all the stakeholders. Prof. Sayanna feels that Education is an empowering mechanism that inculcates a spirit of belonging and humanity, a sense of oneness and compassion among its partakers. Universities are intended to generate original ideas, promote culture and produce thought leaders. In the university system originality, quality, equity, inclusiveness, social justice and innovative research are given importance. It is the portals of universities that higher learning leads to research and development through application of ideas. His wish is to put in practice some of the best practices in the University as the society looks up at the University with high expectations. Prof. Sayanna's priorities include Quality sustenance, equity and social justice, transparent administrative set-up, effective functioning, innovative teaching and quality research.